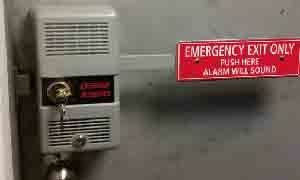 Commercial panic hardware devices and accessories. Commercial panic devices and hardware. 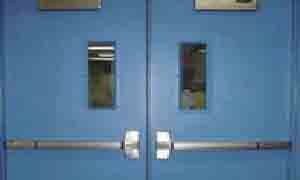 We offer commercial door exit devices and panic door hardware including touch bar rim exit devices, surface vertical rod panic devices, concealed vertical rod panic devices, and alarm exit devices for emergency egress door applications. 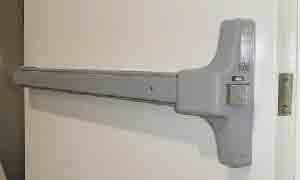 A panic bar (also known as a crash bar or panic device) is used for quickly unlocking a door during emergency scenarios. The mechanism of panic devices consists of a spring-loaded metal bar fixed horizontally to the inside of an egress-opening door. 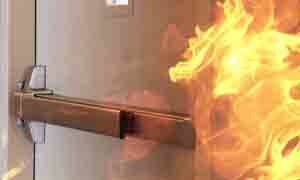 Push bars are designed for life safety compliance. As such, depressing the lever unlatches the door. 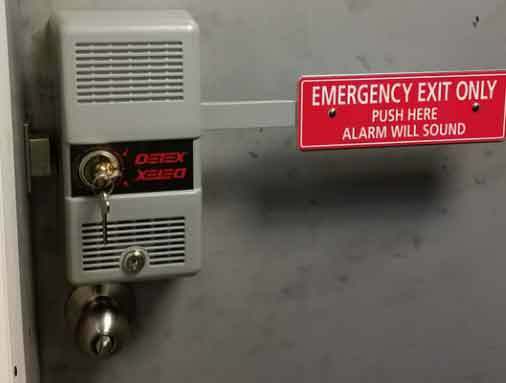 Panic devices allow occupants to efficiently exit the respective building, which helps diminish delays that could be extremely detrimental in emergency situations. So when is panic hardware required? The 2009 edition of the International Building Code requires panic hardware on buildings that are classified as Education (E), High Hazard (H), and Assembly (A) Occupancies along with an occupant load of 50 or more. 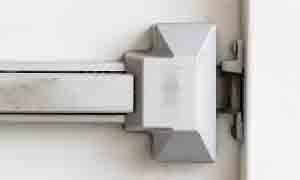 Panic exit device installation requires extensive technical knowledge and the capacity to identify the corresponding door types that panic devices can be properly used with. Furthermore, having an understanding of panic device core requirements, mounting height, and the diverse characteristics of various push bar brands is necessary to achieve optimal panic exit usage. We offer high-quality repairs and installation of panic devices for numerous door types (including glass), as well as push bar alarms. 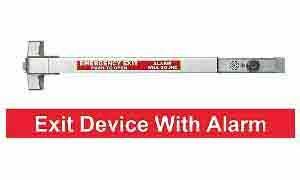 We offer a variety of alarmed panic bars from various leading brands that will provide you with a top quality device with an advanced alarm system. 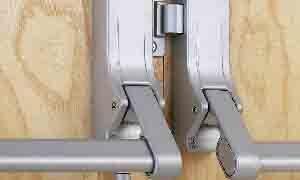 Different brands and different models of panic bars deliver very different performance. It is always best to choose the panic bar which is best suited for the job at hand because, the installation of the incorrect one nearly always, results in a waste of time and money.